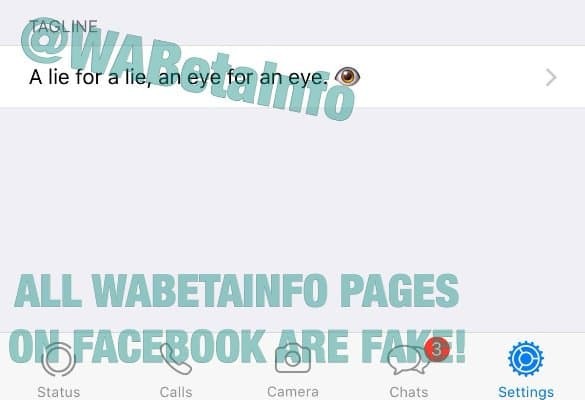 Yesterday, WhatsApp users across the world were surprised to see their contacts/favourites tab replaced with Status tab where they could see Live Stories style status updates from their contacts. As a WhatsApp user of any platform you can now send photos, videos and GIFs that are shared to your contacts and disappear for you and your contacts after 24 hours. This feature has not gone down well with the users judging from the reaction on other social media platforms. The problem with this update was that it was a server side update which means it was hidden on a WhatsApp update you downloaded a few days ago and was triggered by the company yesterday. You can use an older version of WhatsApp but would be forced to update the app because of security reasons. If you are a fan of the old-style status update, we have some good news for you. 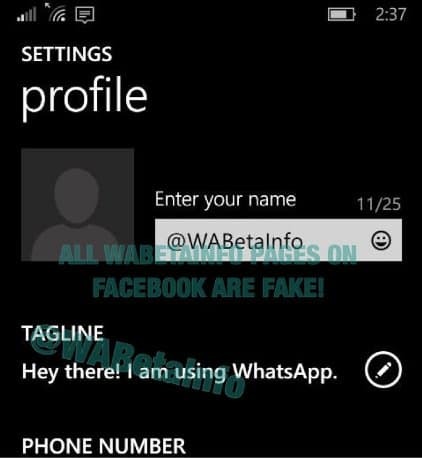 A Twitter handle called WABetaInfo which gathers information about beta versions of WhatsApp on all platforms has found that WhatsApp has included the status feature and called it ‘Tagline’ in the beta version of WhatsApp for Windows Phone (2.17.82), iOS (2.17.6) and Android. The feature is currently hidden and cannot been seen by end users without some reverse engineering. 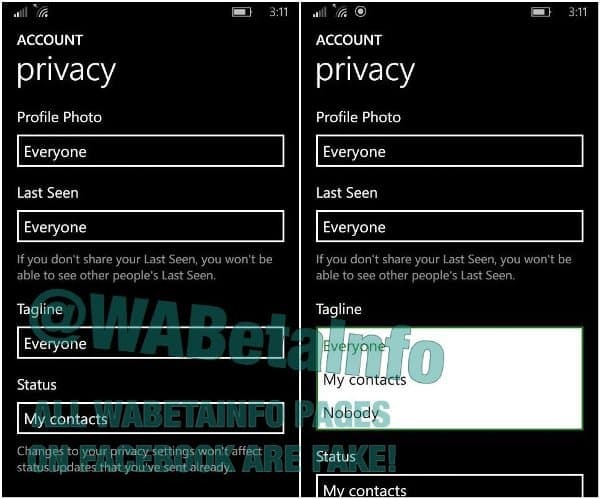 You can also see in the screenshots above that there are separate privacy settings for tagline as well as status. This means that status isn’t going away any time soon. Another scoop uncovered by the same Twitter handle is that WhatsApp is working on another messaging app called WhatsApp for Business. The WhatsApp for Business is aimed at small businesses employing less than 10 people. WhatsApp for Business will be a mobile client that will help them manage their day to day activities, communicate within the firm and with customers. There shall be features for multi-agent support and structured messages. The WhatsApp for Business app will begin testing in India later this year. As you might be aware WhatsApp co-founder Brian Acton is currently on a tour of India to gather information about improving the messaging platform and his visit may have something to do with the imminent launch. We shall keep you updated when the official information is dispensed by WhatsApp. I think WhatsApp for Business is going to be super popular among business owners. I think most of the support business will move over from expensive ticketing systems to WhatsApp. Not exactly like BBM; but maybe something that integrates digital payments and some extra features for business owners to communicate with their customers. Say broadcast messages to 5000 users who've opted to receive messages from the businesses etc. They want to replace SMS. Sounds great, and useful till everybody on whatsapp using it on regularly bases. I think skype is doing little bit more. They have bots in chat to help with news, search etc. And maybe its good chance for hike messenger too. as they could have airtel money, free sms, chat bot. social timeline. what do you think about it?